Slack could always be used to remind yourself of things via the /remind me command. Via an update, you can now remind individuals or teams of upcoming tasks as well. Those reminders can even be set for entire channels. 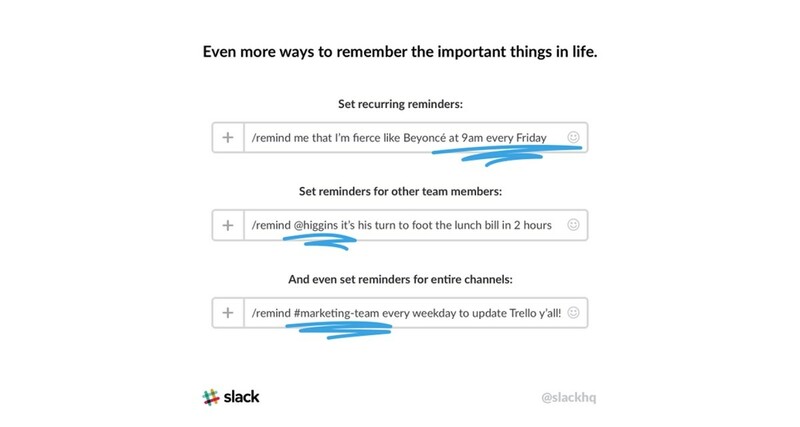 Reminders are still generated with the /remind command, but Slack has added @mentions and #channel to the feature as well. You can even set recurring reminders for individuals or teams. Sounds great, right? No. this means your boss can now automate their incessant pestering. They win, you lose.